I've got a chapter in a new academic volume called Sustainability in the Global City, and recently another contributor, Professor Miriam Greenberg, invited me to participate in an online educational resource called Critical Sustainabilities. Talking with Miriam about the project reminded me of how many notions can be represented by a single term like "sustainability," and how a critical analysis of these multiple meanings creates a more democratic, shared change project. As a bike researcher, I've been engaged for years with the Bicicultures collaboration that has experimented with this multiplicity in "bicycling." There are many cultural practices assumed by different individuals when they hear that word, and anyone who wants to expand bicycling to more people should get curious about what bicycling means in different settings. I've also encountered this multiple meanings phenomenon with the term "equity." Here I'm going to discuss a few of the ways I've heard equity used in the transportation equity conversation at the national level and in bike advocacy networks. Each of these meanings represents a useful part of a larger equity strategy, but on its own has some limitations. PR. Some people think "equity" means changing who the public associates with a particular mode of transportation such as bicycling. They try to accomplish this through featuring people of more racialized groups, genders, and abilities in communications materials. 1. An organization with a homogeneous staff and board starts using images of heterogeneous people in their communications materials. 2. A group or individual who shares an identity with the marginalized group portrayed generates the images. What's the difference? Let's say a bike organization with all white leaders produces a booklet featuring people of color advocates. The reason this difference or similarity between the producers of the images and the people portrayed matters is that simply pasting more diverse faces on the same projects designed by predominantly white expert circles is tokenizing and does not set up a standard for including more people in decisionmaking. 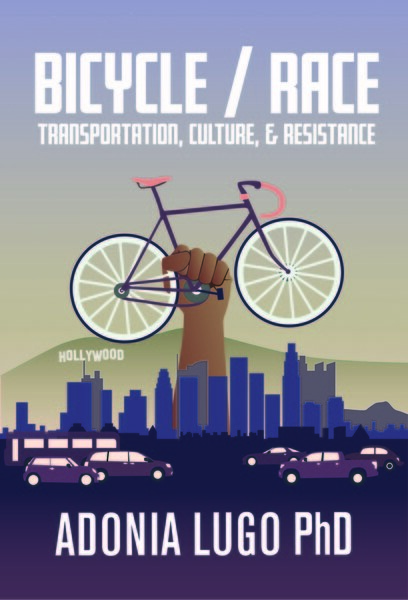 Are we trying to send the message that people of color do bike (true), so there's not a need for changed decisionmaking in bike advocacy (false)? Another example: the public discourse on bike share is really focused on the bad optics projected by a lack of diversity in who uses the systems. In my experience it's been harder to draw supporters' and reporters' interest to behind the scenes issues that might improve bike share (worker organizing, designing systems differently from the get go, and questioning why the systems were publicly funded in the first place). Building a diversity-focused PR strategy can be a good way to signal an intention to change, but on its own does not constitute that change. The case of UN Women canceling their planned collaboration with Uber is a recent example of a PR strategy being challenged because it was focused on image rather than equitable change. Data Inclusion. I've heard many D.C. professionals use "equity" to refer to a policy project to include more data about people of color, low-income families, and people with disabilities in legislative processes so that public funding reaches these marginalized groups. A great example is the National Equity Atlas, a comprehensive resource designed to increase access to available information about inequality. Many people believe in the power of data, especially "big data" (another term with multiple meanings that is circulating widely), to produce a more equal society. Of course, "data" on its own is not objective; it is a source of information that can be interpreted in many ways to many ends. Who is interpreting the data should be seen as part of the picture, and in this equity project, policy professionals remain in charge of speaking for community needs without necessarily explaining how those professionals earned their right to speak for community members. In practice, I've seen this meaning of equity become "train the white professionals to serve other groups' needs better through exposing them to data about those groups." This doesn't problematize a lack of diversity in leadership and professional positions. Planning Together. In my own work on the power divide between expert and community knowledge, I've used "equity" to mean changing who participates in decisionmaking. We need more professionals making decisions based on the skills they developed through surviving as a marginalized group; we need more community members standing up for their right to use shared urban spaces in ways that make sense to them. We need more people to decide what to decide, not just chase them down to choose from a list of options experts created to solve problems experts defined. Based on the tensions I've encountered as I've tried to move this strategy forward, it seems like this meaning of equity can be a bitter pill for current experts and leaders to swallow. It's tough to continue advocating for power sharing when people in power do not want to admit what's in their control. So a major limitation of this strategy is that it's a challenge to get authentic buy-in from leadership. Gloss for Race. If you're uncomfortable talking about the role that racializing processes play in our society, you can refer to the fact that you know there's a problem by using the term "equity." This vague meaning of equity has its utility, because admitting there's a problem is an important first step in any change process. It's an oblique approach, kind of like not wanting to look directly into the sun because it's too bright, so you shield your eyes and look to the side. It's a start, right? I do think that there's a danger of this imprecise approach leaving other marginalized groups' needs out of equity projects. When I was running an equity initiative for a national bike organization, I was reminded a number of times by other professionals and advocates that the "equity" picture needs to include individuals with disabilities, for example. What are the effects of people using the same term but meaning different things by it? We could all benefit from more discussion about what we have in mind when taking on an "equity" project. Mapping out a comprehensive approach that explains how different meanings of equity support one another and build into a bigger picture would help many organizations and agencies focus their work. Perhaps most importantly, these kinds of mapping exercises would create transparent agendas for equity projects that new stakeholders could use to hold institutions accountable. The expectation that community members should trust groups simply because they've started to use the word "equity" is troubling. Personally I'm going to take a break from using "equity" and get back to challenging the divide between expert and community member more directly. There are great ideas and techniques for social justice and sustainability out there that don't fit in the current equity conversation, and I want to help make more room for those ideas in our planning and development processes. When people ask me for advice about "equity," I'll request that they be specific about what the term means to them so that I can give answers that explain my own commitments more clearly.